Contrary to a generally held view that pearls are found by chance in oysters, almost all are now produced from farms. This book is a comprehensive treatment of all aspects of the biology of pearl oysters, their anatomy, reproduction, genetics, diseases, etc. It considers how they are farmed from spawning and culturing larvae in hatcheries to adults in the ocean; how various environmental factors, including pollution affect them; and how modern techniques are successfully producing large numbers of cultured pearls. 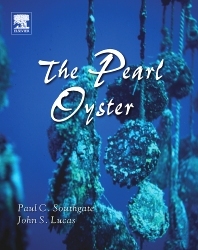 This is the ultimate reference source on pearl oysters and the culture of pearls, written and edited by a number of scientists who are world experts in their fields.